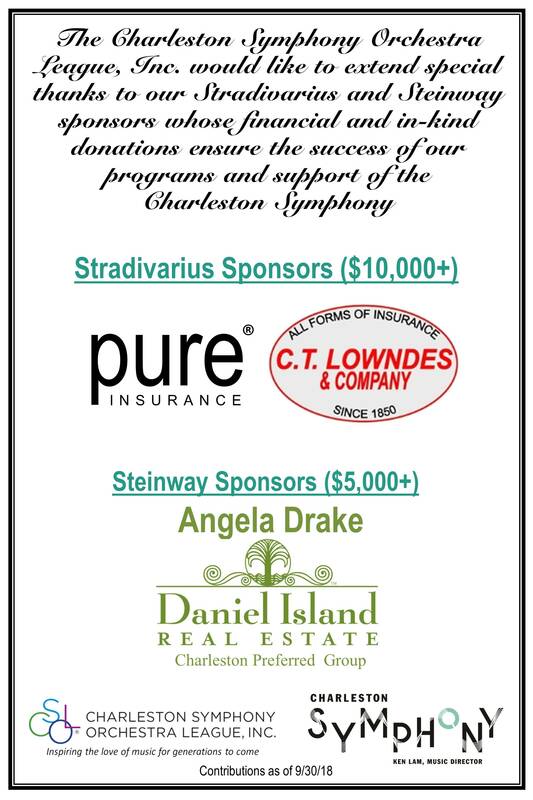 Swanky Southern Soiree | The Charleston Symphony Orchestra League, Inc. There was southern cuisine, from she-crab soup shooters, to banana pudding on the dessert buffet; dancing to the music of the Joe Clarke Quintet; Mozart, performed by members of the Symphony Youth Orchestra; antiques, jewelry and fashion for sale at the pop-up boutique; dream vacations, diamond earrings, and ready-made parties at the silent auction; and there was Jonathan Greene in person as the honored guest. All this and more happened at the Swanky Southern Soiree at Charleston Country Club on Saturday, October 6, 2018. 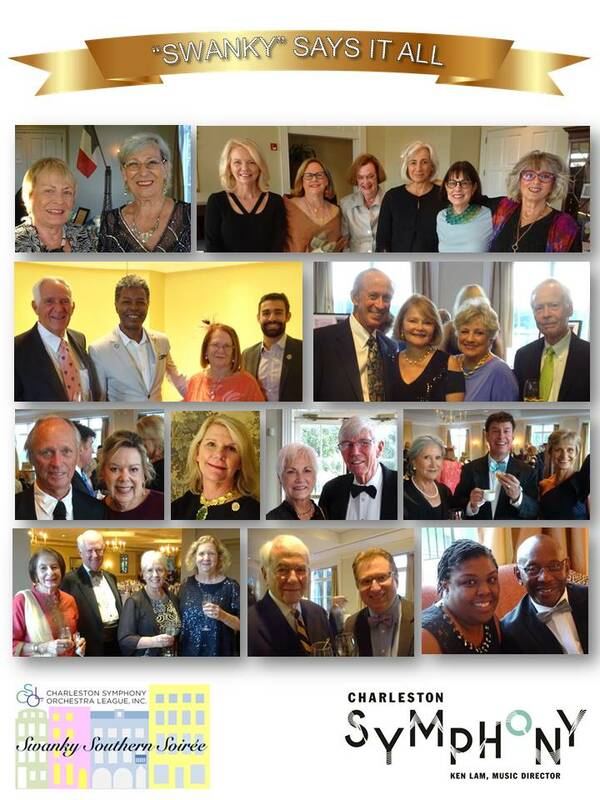 With the sun setting over the beautiful green expanse of the Country Club of Charleston as a backdrop, friends and patrons of the Charleston Symphony gathered for cocktails and a four-course dinner, followed by dancing into the late hours. Ken Lam and Yuriy Bekker were there, along with other Symphony musicians, and Assistant Conductor Kellen Gray led an animated Fund the Need auction, all to raise funds for the Symphony League education fund. Jonathan Greene was honored for his contribution to the arts in Charleston. 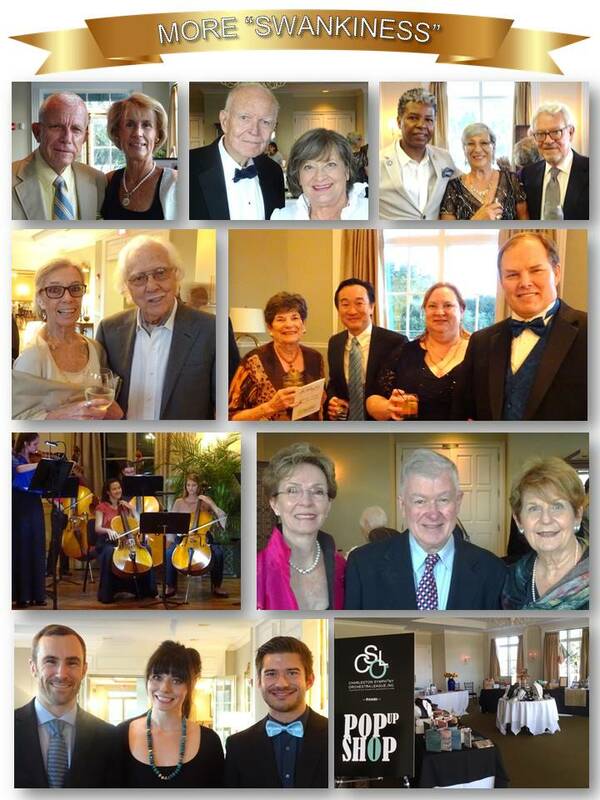 Thanks are due to CSOL President, Kitty Reid, for making this a Swanky Southern Soiree to be remembered. 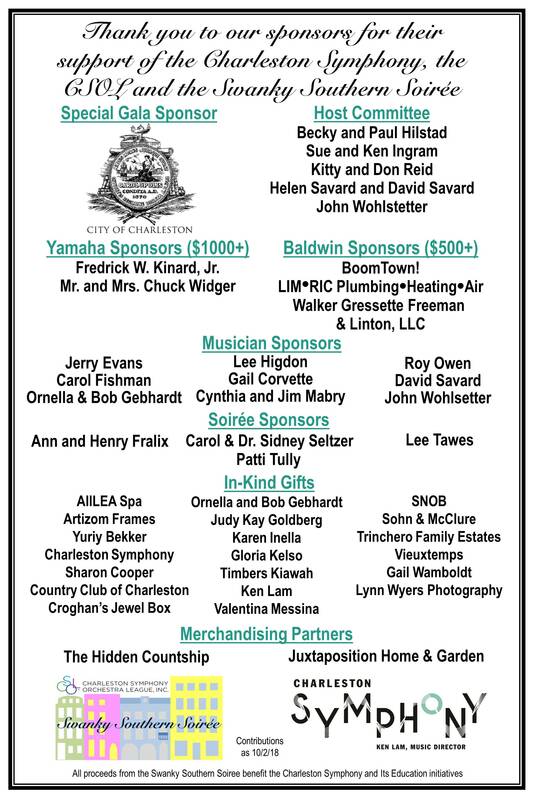 Please enjoy the photos below and help us recognize our sponsors, identified here as well.